The Boston Globe presents the Harvard Kennedy School PolicyCast, a weekly podcast on public policy, politics, and global issues. HKS PolicyCast is hosted by Matt Cadwallader. In the aftermath of Daesh-inspired attacks on Paris, London, and San Bernardino, the United States and Europe have been wrestling with how best to wield their military power to defeat the threat. But faced with an enemy that inspires others to violence through well-produced propaganda, we should also consider the role of soft power in combating that hateful ideology by emphasizing Western values like free expression. The concept of soft power was coined back in 1990 by Harvard Kennedy School Professor Joseph Nye to describe how a country can influence other nations, without coercion through military action or economic sanctions, but instead through the spread of values and culture. Since World War II, Voice of America has played a key role in spreading American values across the globe through factual, unbiased news reporting. If you’re not familiar with it, that’s because up until 2013, VOA was prohibited by law from broadcasting domestically. 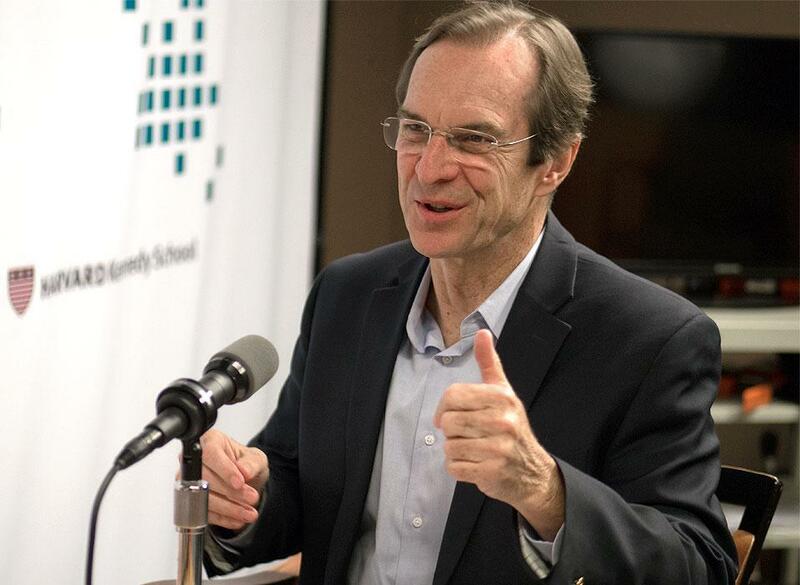 This week on the Harvard Kennedy School PolicyCast, Ensor explains why the VOA mission is as vital to American interests as ever, not as a tool to promote government policies, but as a key to spreading American values. Ensor has been studying VOA’s impact this semester as a Joan Shorenstein Fellow at the Kennedy School’s Shorenstein Center. His report, “Exporting the First Amendment,” is due to be published later this month. The United States is not the only country with an international news agency. VOA was originally modeled on the BBC World Service, which today boasts a global audience of more than 300 million. More recently, other countries including Russia and China have made similar attempts, although they are missing one key component: objectivity. VOA’s editorial independence has been a matter fact since its inception in 1942, and a matter of law since President Ford signed its current charter in 1976. The charter was passed in the wake of attempts by the Nixon administration to have VOA avoid coverage of Watergate and Vietnam. Nixon’s hopes for the agency have not gone away entirely. In 2014, the House Foreign Affairs Committee passed a bill with bipartisan support mandating that VOA’s mission be altered to advocate for government policies. While the bill died in the Senate, its supporters have not relented and plan to continue to push for changes. Ensor disagrees with the advocacy approach. The numbers seem to back up his claim. While Russia’s RT and China’s CCTV both have much larger budgets, their audiences are significantly smaller. Ensor’s research shows RT’s coverage in the United States doesn’t even register on the Nielsen ratings, while CCTV’s huge investments in Kenya have yielded viewership of only 2 percent, far lower than the BBC and CNN. Meanwhile, with a budget of roughly $200 million — Ensor calls it “woefully small” — VOA’s weekly global audience is about 188 million. In other words, the federal government is spending roughly two cents per week to reach each person. It’s a remarkable bargain. The US has a lot of soft power to leverage, and at such a low cost, why shouldn’t we?